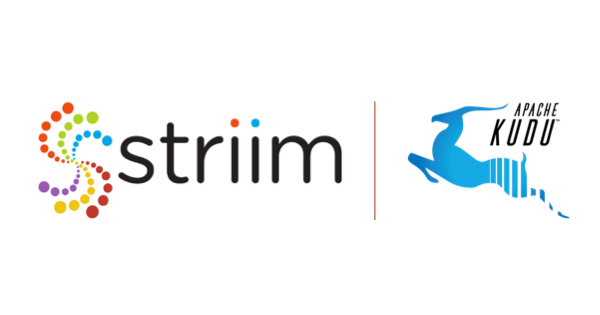 PALO ALTO, CA, September 11, 2018 – Striim®, provider of an enterprise-grade platform for streaming data integration to the cloud, today announced that they have expanded Striim’s integration capabilities for Apache®Kudu™ to include continuous data validation for stream processing and delivery to Kudu. Apache Kudu expands the Apache Hadoop storage layer by enabling multiple, real-time analytics workloads. Kudu is quickly becoming the de facto standard for use cases that require fast analytics on rapidly changing data. Striim enables real-time ingestion, processing and delivery to Kudu so users can more readily run real-time analytics applications in the Kudu environment. In addition to continuous data ingestion, Striim has enhanced its solution for Apache Kudu by offering continuous validation for stream processing and data delivery. Continuous, Real-Time Data Ingestion.Striim continuously ingests real-time data from enterprise databases (via non-intrusive change data capture), log files, messaging systems such as Apache Kafka, Hadoop and cloud environments. Striim’s KuduWriter streams real-time data from databases (including Oracle, Microsoft SQL Server, HPE NonStop, MySQL) and files in different formats (such as CSV and JSON) to Apache Kudu version 1.4 and higher. Continuous Stream Processing with Validation. With Striim, Kudu customers can accelerate their real-time reporting and analytics solution by using up-to-the-millisecond data from a wide range of data sources, in the exact format they need. Before delivering to Kudu, Striim’s KuduWriter offers in-line transformations (such as denormalization), masking, filtering, aggregation, and encryption. Striim’s latest release provides pre-built dashboards that continuously monitor the behavior of data pipelines so Kudu users can easily trace and validate in real time whether, and to what degree, the data ingested completed the required processing steps as it is streaming within the platform. 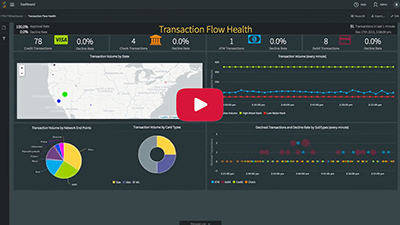 Continuous, Real-Time Data Delivery with Validation. Striim is designed to efficiently deliver high-velocity, high-volume data with sub-second latency in mission-critical environments. In the latest release, Striim added capabilities to validate data delivery to Kudu in real time. This feature comes in addition to existing reliability features such as out-of-the-box exactly once processing (E1P), high availability and recovery, and data pipeline monitoring with real-time alerts. For more information regarding Striim’s continuous data integration capabilities for Apache Kudu, please visit our Cloudera partner page, download Striim, or stop by the Striim booth #1107 this week at Strata Data Conference NY.